The school year is almost over, which means summer is right around the corner. Michelle wants to get a job at a day camp so she can hang out with some guy she has a crush on, Matthew is spending more and more time with Mary and Emily just wants Anthony to leave her alone. But before they can lounge around the pool and eat watermelon all day, our heroes still have to deal with the pressing matter of those pesky final exams – which stand in the way of absolute freedom. 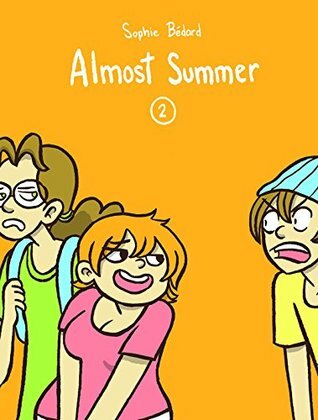 Volume 2 of the Almost Summer saga brings back all the characters from the previous book for another slice of authentic teenage everyday life, showcasing author Sophie Bedard’s unique narrative style and remarkable talent for character development.